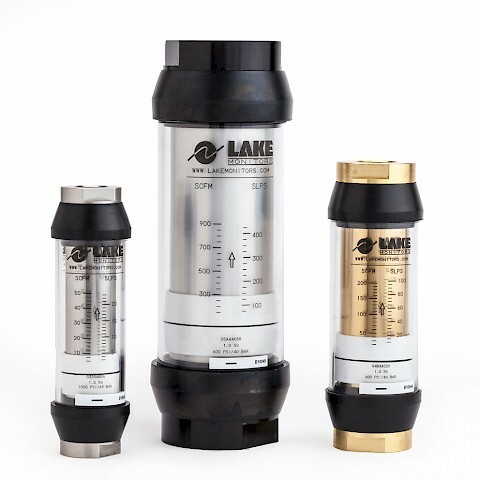 The Lake Monitors flow meter for Phosphate Ester fluids is compatible with aviation lubricants such as Skydrol , as well as fire retardant fluids such as Pydraul®,Fyrquil® and Houghton 900 series. 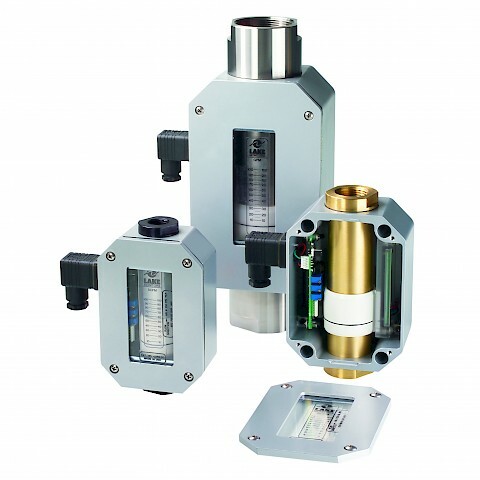 The P Series variable area flowmeters are designed to work in any plane even upside down. This is achieved by a magnetically coupled indicator and piston. Maximum operating pressures are 414 bar (6000 PSIG) with excellent repeatability and viscosity stability. Wetted parts options include 316L stainless steel, PTFE Coated Alnico Magnet. 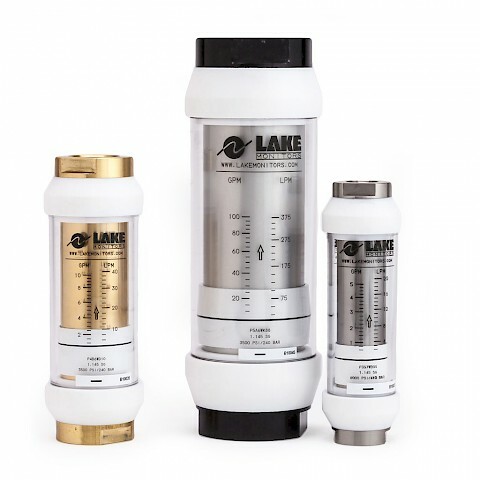 Seal options include Buna-N® EPR, FKM or FFKM. 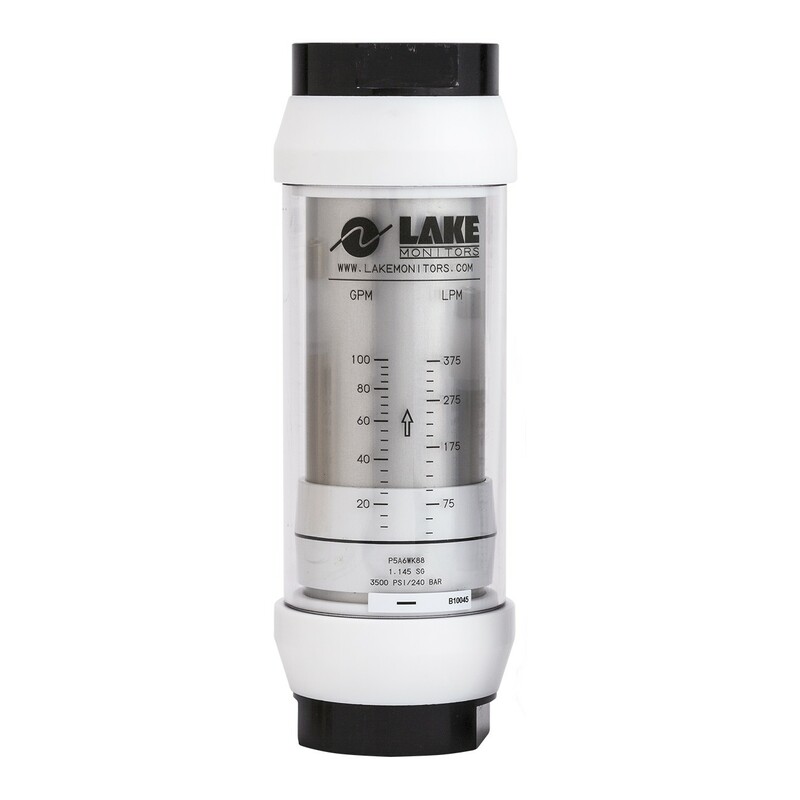 Fluid meters offer flow ranges of 0.2 Litres per Minute for the smallest meters to 560 LPM for the larger meters. The Basic series has a Standard maximum operating temperature of 116⁰C with the option of the high temperature series for more demand processes. 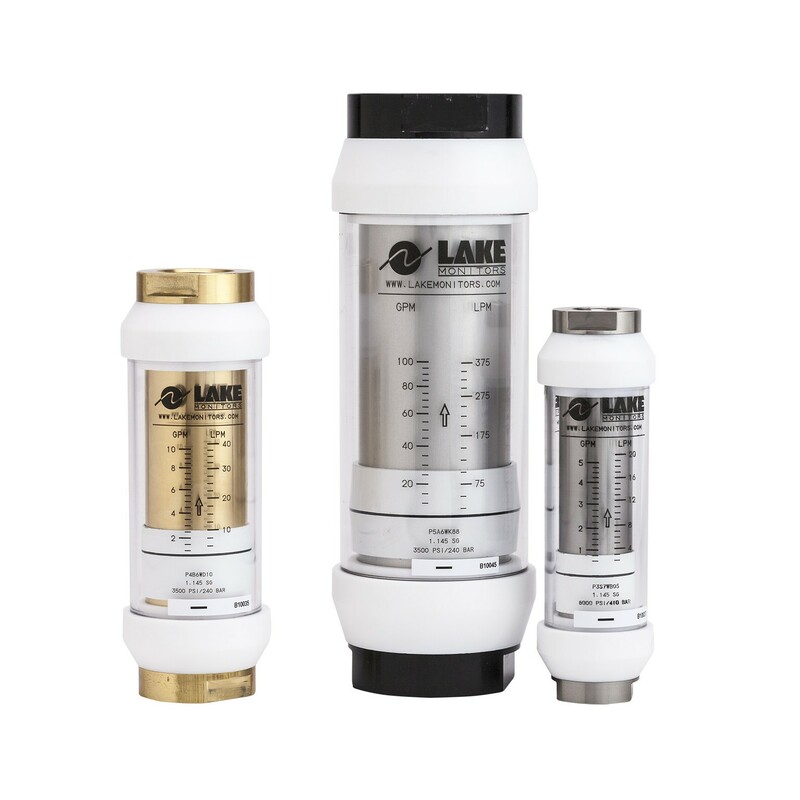 The liquid series is available in the following port sizes ¼”, 3/8”, ½”, ¾”, 1”, 1 ¼”., 1 ½” and 2”. Thread options include SAE, NPT and BSP. Each meter is individually calibrated to meet an accuracy of +/-2.5% of full scale. Users have the option of traceable NIST calibration certification.